AutoFocus is a free WordPress theme specifically designed for photographers looking for a simple and elegant way to display their work online. If offers a clean and straightforward navigation with image on mouse over descriptions and when you open an image (post) you can also write a long text as in a normal information oriented blog. AutoFocus is a derivative of Futurosity Aperio Prototype by Robert Ellis. F8 Lite is a free WordPress theme suitable to be used for a photography & multimedia portfolio blog. The theme is SEO optimized, iPhone compatible, has grid-based css, offers built-in Galleria support, slideshow-enabled, with built-in multimedia support, auto or manual thumbnail control, Gravatars, plus much, much more. There is also a bit improved F8 (non-lite) version of the theme, but it is not being offered for free as the lite version. 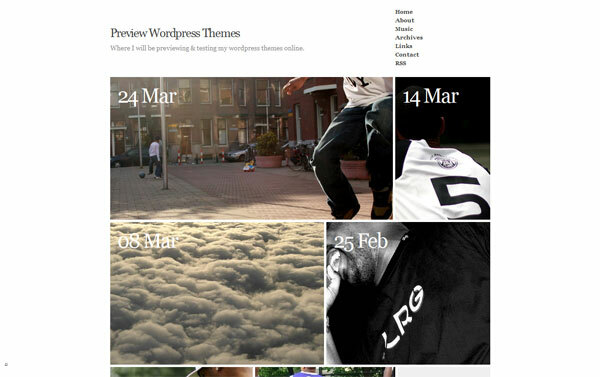 Ocular Professor is a clean, simple, widget ready theme designed for WordPress-powered photoblogs that features large images, gallery support, and threaded comments. The latest version is designed for WordPress 2.7, but the theme is still backwards compatible with WP 2.5+, only the comment formatting will be slightly different for pre 2.7 versions. 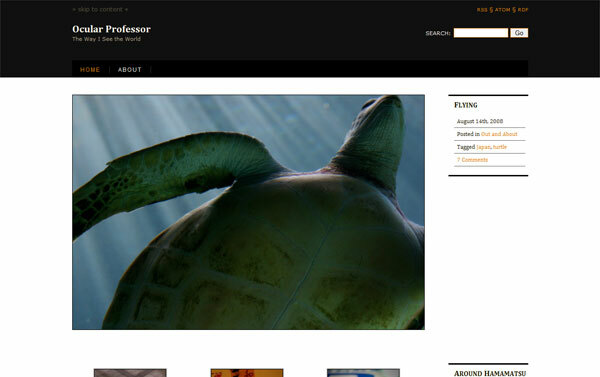 Ocular Professor was featured in The Best WordPress Themes of 2008. Nishita is a simple, elegant styled PhotoBlog theme for WordPress. 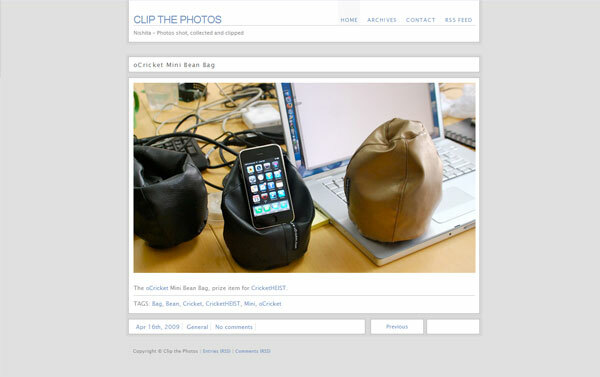 It offers a clean and simple interface where the main focus is on the image along with a very short description. Nishita also has an easy and very intuitive navigation in the bottom right end of the page that allows you to quickly browse over all the published photos. 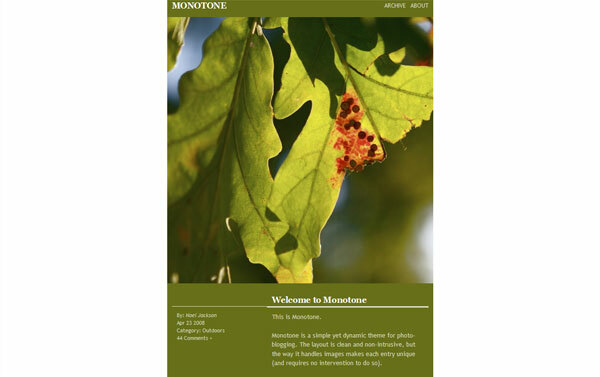 Monotone is another photo blogging theme for WordPress. The most interesting and noticeable thing in this theme is that colors of the theme change in order to match the photo being currently displayed. This way your blog will always change according to the content you publish in it and the visitors won’t get bored.